For highly motivated students in Fairborn and the surrounding area. This is an opportunity to earn high school and college credit for specific courses for free. 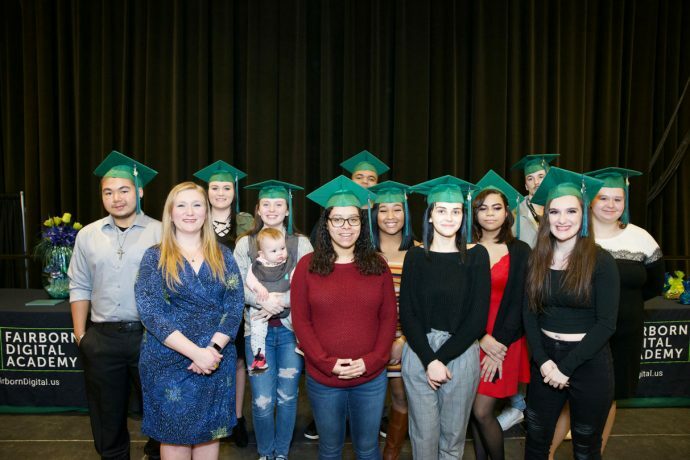 College Credit Plus gives high school students an opportunity to take part in rigorous academic programs and provides a variety of options for college-ready students. Students can earn both high school and college credit simultaneously. Through the College Credit Plus program, high school students can enroll in classes at a public college or university free of charge. There is no cost for tuition, books or fees if you attend public school in Ohio. You can choose courses that would benefit your future, including online classes. Students must apply to the colleges or universities where they will be taking classes and meet their requirements and procedures. If interested in pursuing the College Credit Plus program through Fairborn Digital Academy, contact your guidance counselor for more details, including application procedures for colleges and universities that have agreements with Fairborn Digital Academy.